We are delighted to introduce this, the sixth edition of The Government Procurement Review, which incorporates contributions from six continents and 18 countries, as well as a bespoke chapter on the European Union. Mr Davey specialises in procurement and commercial law, and heads Addleshaw Goddard’s 60-lawyer strong commercial group. 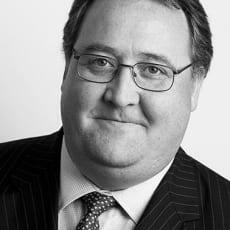 First ranked in Chambers UK for procurement law, Jonathan frequently advises a variety of public bodies as well as significant private sector clients on procurement law and commercial matters. Chambers directory says he is ‘very much at the forefront of the procurement circuit’ and ‘very client-friendly’, having noted previously that ‘his advice is excellent, particularly in minimising risk’, and that ‘he has great grasp of the rules and gives solid commercial advice’. He was founder of and first chair of the Procurement Lawyers’ Association, and speaks and writes widely on procurement and commercial law topics in the UK and abroad. He won the Who’s Who Legal Global Procurement Lawyer of the Year award in 2014, 2015 and 2016. His experience includes leading the AG team advising the Danish government on the Fehmarnbelt Tunnel project, an €6 billion, 19km road and rail tunnel linking Denmark and Germany; advising a number of multinational defence contractors on the Defence and Security Procurement Regulations; and advising a consortium of local authorities on the procurement aspects of a waste public-private partnership contract. Amy Gatenby has been a solicitor in England and Wales since 2006 and is a managing associate in Addleshaw Goddard’s procurement team. She specialises in all aspects of EU and UK public procurement law. 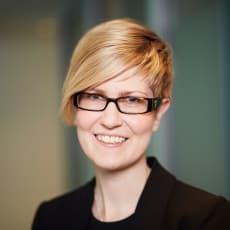 Ms Gatenby advises both public and private sector clients on a wide variety of contentious and non-contentious procurement matters. She regularly advises public authorities and utilities on high-profile procurement processes for major projects, and advises on all aspects of the procurement process from the structuring of a transaction and whether the public procurement regulations apply, to choice of procedure, designing effective evaluation models, material change risk and handling award challenges. She is also a member of the Procurement Lawyers’ Association.